Upright Bechstein B 124 Imposant – engineers at C. Bechstein piano factory have achieved their ideals: top in soun and technology. This piano is built to high standards. The Bechstein B 124 Imposant upright piano has everything that an upper-class piano can have: Valuable materials are molded and processed carefully. This outstanding upright is the result of responsible production of the most modern high-end piano manufacturing facility in the world. 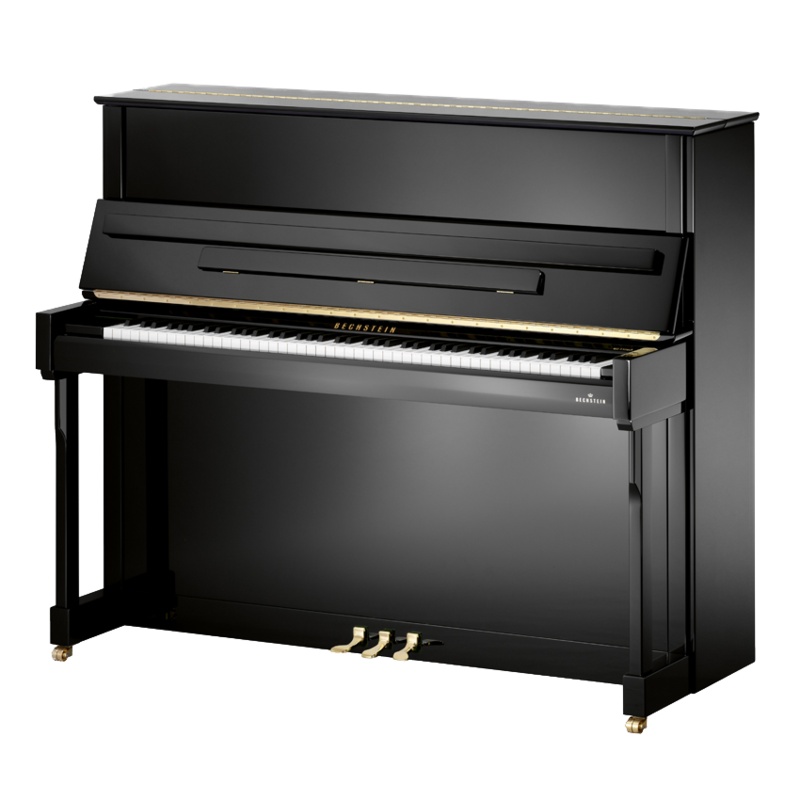 The Bechstein B 124 Imposant upright piano has a sleek chassis that looks fantastic. The upright can be played effortlessly and brilliantly. This model proofs its high class quality from the softest whisper to a thunderous forte. It is only a pity that one cannot drive it through the streets: it is a real eye-catcher and nice to hear. But even in your home it makes a great musical figure. Get moving: the sound reserves and the action of this turbo are inexhaustible. Off to the Tour de Musique. The Bechstein B 124 Imposant upright piano is a real Bechstein. Experience a legend.If you ever want to practice all by yourself, without having others listen to you, you can of course have the Bechstein B 124 Imposant upright piano equipped with the Vario System.